Looking good. 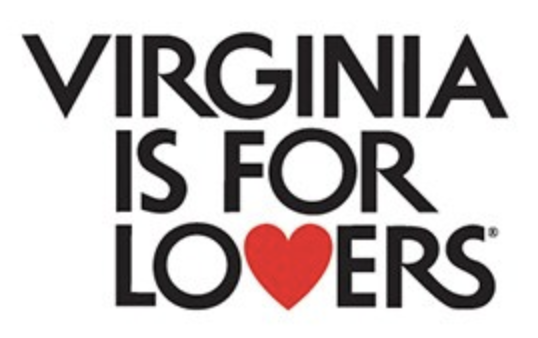 The Virginia Tourism Corporation will celebrate the “Virginia Is For Lovers” brand’s 50th year in 2019. Virginia has the longest-running state tourism slogan in the country; “I Love NY” didn’t make its debut until 1977. “Virginia Is For Lovers” continues to be one of the most recognizable tourism slogans ever, inducted into the Madison Avenue Advertising Walk of Fame on its 40th anniversary. “The phrase came from a creative team headed by George Woltz of Martin & Woltz Inc., the Richmond advertising agency that won the Virginia State Travel Service account in 1968. According to Martin, a $100-a-week copywriter named Robin McLaughlin came up with an advertising concept that read, “Virginia is for history lovers.” For a beach-oriented ad, the headline would have read, “Virginia is for beach lovers”; for a mountains ad, “Virginia is for mountain lovers,” and so on. Martin thought the approach might be too limiting. 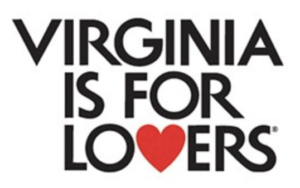 Woltz agreed, and the agency dropped the modifier and made it simply “Virginia is for Lovers.” The new slogan debuted in a 1969 issue of “Modern Bride,” the Commonwealth’s website explains. Read more here. Virginia announced tourism revenues of $25 billion in 2017, a new record. Expenditures were up 4.4 percent over 2016 for the eighth consecutive year of growth. In 2017, domestic travelers spent $68 million a day in Virginia. The Virginia Tourism Corporation (virginia.org) receives its annual economic impact data from the U.S. Travel Association. The information is based on domestic visitor spending from per-person trips taken 50 miles or more away from home. Detailed economic impact data by region is found at vatc.org/research. Read more here.